To make great wine, you need the right grapes being grown in the right place by the right people — and then those grapes must be handled the right way by the right people in the cellar. That not so — well — simple, of course. In a world that is increasingly focused on getting what we want when we want it — which is always now — great wine takes patience and passion and perseverance. A recent day trip tasting New Jersey wines with my good friend and fellow writer Carlo DeVito, not only convinced me that New Jersey has the potential for great wine but that it also has the people it will take to get there. Many of the wines I tasted already rival anything I’ve tasted from New York, Virginia, Maryland and beyond. I have a story about New Jersey wine that will be published in Wine Enthusiast sometime in early 2018, so I can’t share everything that I have to say about what I’ve found in the Garden State wine community, but I can say this definitively: There is some terrific wine being made in New Jersey — and in some ways, the top tier of winemakers there are years ahead of those in neighboring states. More on that in the spring, however. It was a long day — I left my house at 6 a.m. and got home around 8 p.m. — but my day in New Jersey wine country was well worth the effort. Here are nine wines that stand out as I go back through my notes. 69% Chardonnay and 31% Pinot Noir, this no-dosage sparkling wine was another of the real surprises. Brisk and focused, it’s driven by green apple and citrus character with doughy yeastiness overlaid on top. Bone dry and linear, the palate stretches out with a beautiful citrus zest finish. 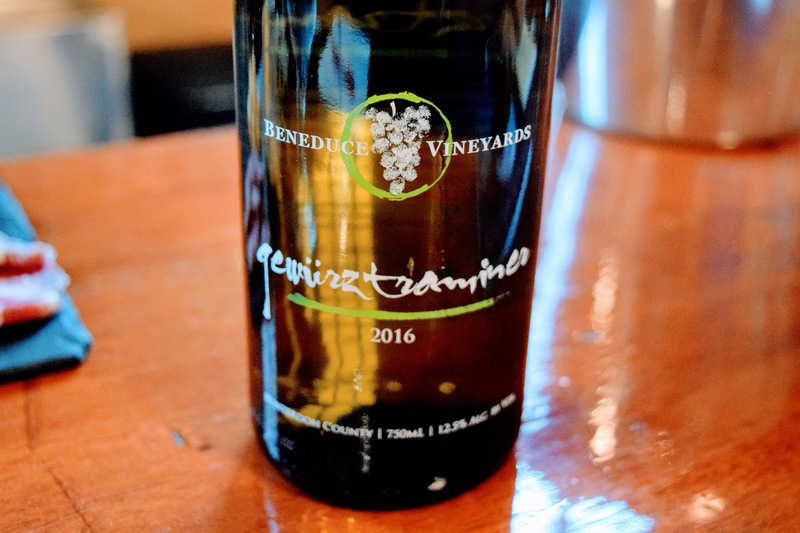 Winemaker Mike Beneduce is focusing on European grape varieties grown in places like Austria, Northern Italy and the Alsace region of France. He has one of the largest plantings of Blaufrankisch I know of in North America but it was this spicy, citrusy Gewurztraminer that stood out. One-third fermented in neutral oak, it’s bone dry and tautly concentrated, with terrific natural acidity and texture. I found a distinct citrusy hop aroma really appealing too. 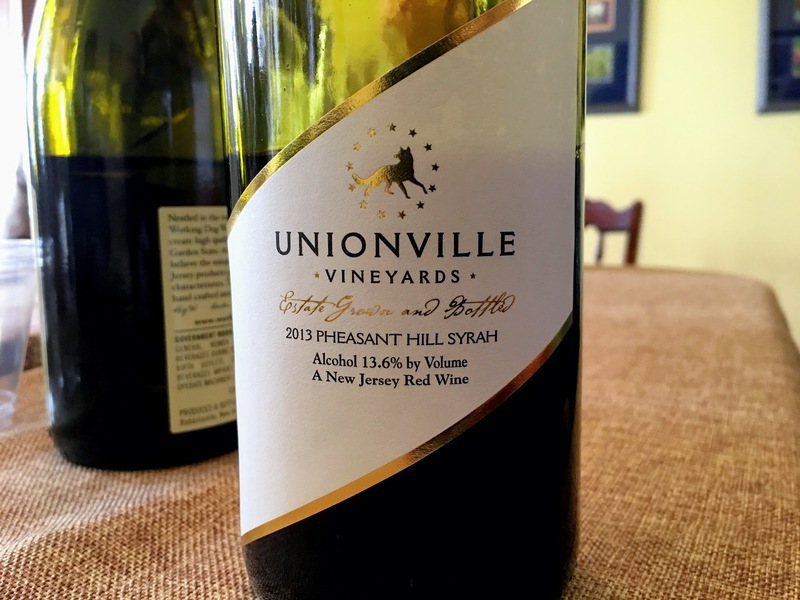 The Pheasant Hill site is less than 10 miles from the winery and — at least based on the wines I’ve tasted that were grown there — is a premier site in Northern New Jersey. The nose is citrusy and floral with subtle leesy notes (it spent nine months in neutral French oak) the palate is lightly creamy, with nice fruit concentration and terrific chalky acidity. 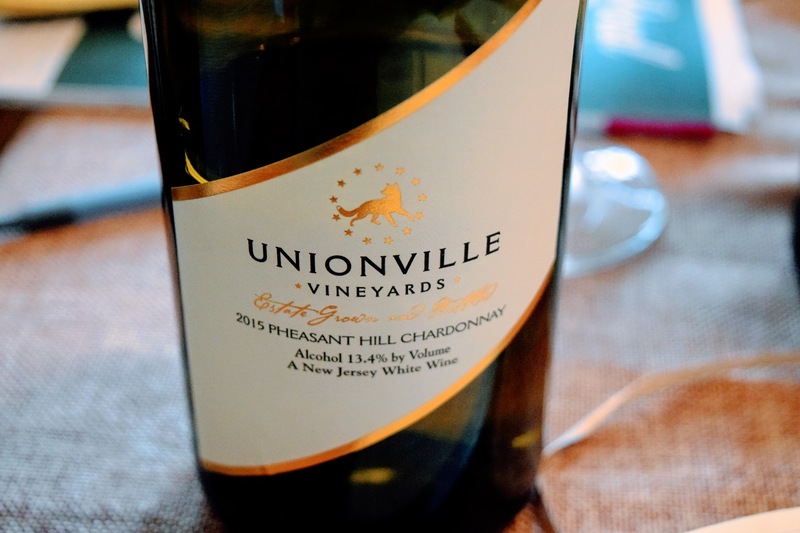 This really might be one of the best Chardonnays in the east. 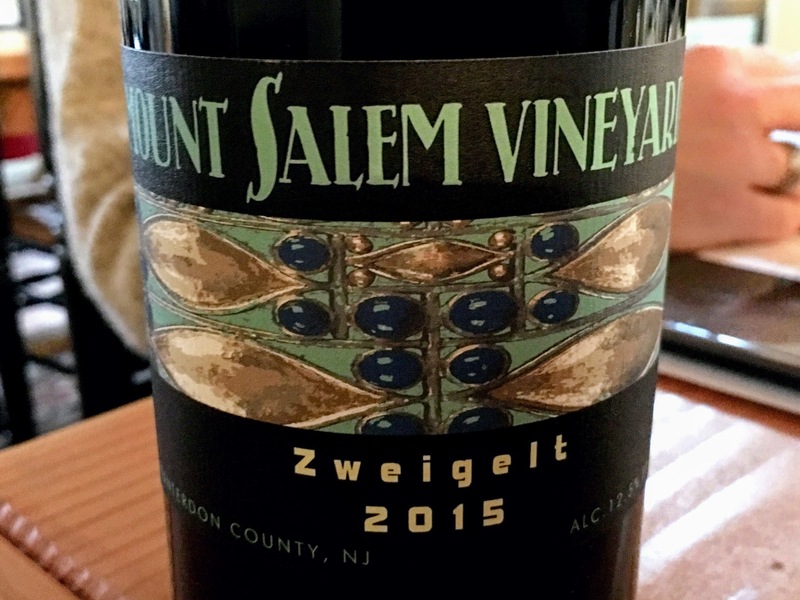 There isn’t much Semillon in New Jersey — in fact, winemaker Sean Comninos thinks he may have the only plantings — but this wine has beautiful melon, guava and peach fruit flavors that are ripe but well balanced by citrusy acidity. I really like and appreciate well-made red wines that focus on acidity and texture without being overrun by oak and oak-born flavors. This wine does just that. It bursts with black and blue fruits — both fresh and dried — with great, crunchy acidity. It’s not particularly complex, it’s simply the kind of red wine you want to drink with a wide variety of foods. Pinot Noir is one of the focuses in one of the state’s larger estate vineyards — and the views from the top aren’t bad either. Aged 18 months in French oak of varying age, it has everything you’d want from Pinot Noir — red cherries and raspberries, and layers of cola, spice and just a tiny bit of well-integrated oak. I honestly didn’t expect to find Pinot like this in New Jersey — and definitely not at $25. 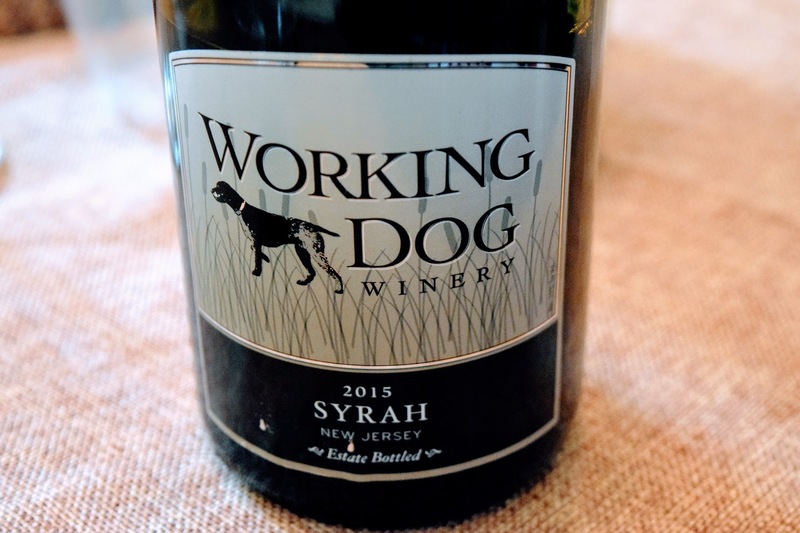 Finding Syrah that tastes like Syrah — without a lot of oak or oak-derived flavor — isn’t easy on the East Coast, but here it is. Raised entirely in neutral oak and with 5% Viognier blended in, it’s peppery and earthy and perfumey all at once with plenty of dark berry fruit too. Grown 20ish miles southeast of Unionville’s Pheasant Hill site, this Syrah is a completely different animal. 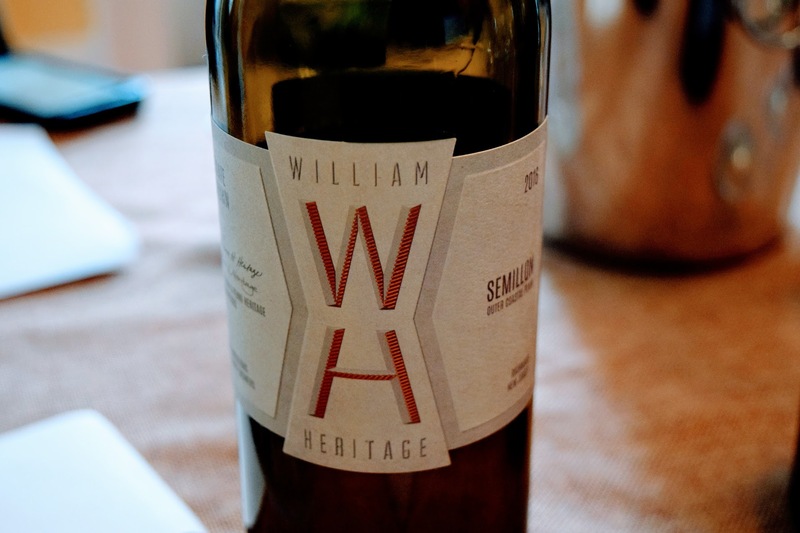 Aged in oak that varies in age from new to completely neutral, this wine is darker, deeper and burlier with chewy tannins, a vein of black pepper and notes of dusty earth. At the same time, there is a delicate floral high note too. This is a wine worth stashing in your cellar for a few years. Mostly Cabernet Franc (with 4% Merlot) this is another young wine that will benefit from time in the bottle. The black currant and blueberry fruit here is pure and concentrated with notes of dark roast coffee and dark chocolate. The tannins are grippy but softer at the edges. Why don’t you visit South Jersey next time? They have excellent wine and I’m saddened this article was biased to North Jersey. Jessica: Thanks for the comment. Staying to Northern New Jersey was simply a matter of geography and time. I had a day to taste as much as I could. I’m tasting a lot of wine — including many from Southern NJ for my Wine Enthusiast story. What are some of your favorites? I am also putting in a vote for south jersey wineries. 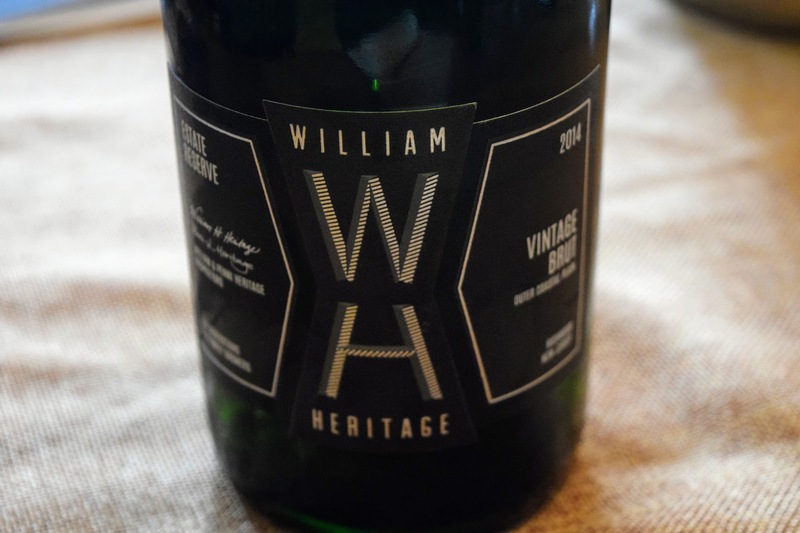 Heritage was as far south and Monroeville is a few miles away from Heritage, but you need to try White Horse winery in Hammonton for excellent dry wines, Turdo in Cape May with a Sicilian touch to amazing dry reds and Hawk Haven also in Cape May. Thanks! I’ve actually tasted some Hawk Haven wines since this trip to NJ — very nicely done. I liked the Syrah best but also the Cab Sauv. Sean from Heritage actually drove up to Northern NJ to pour for me — so I wasn’t down that way. I’ve also had some White Horse wines — keep an eye out for a review of their Chambourcin soon. 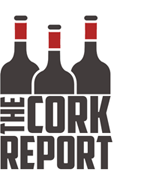 I’ve always enjoyed the Cork Report, and I’ve always loved & advocated for New Jersey wines (got married at Villa Milagro in Finesville and still pour for them at festivals to this day). So I’m very much looking forward to your Wine Enthusiast article! 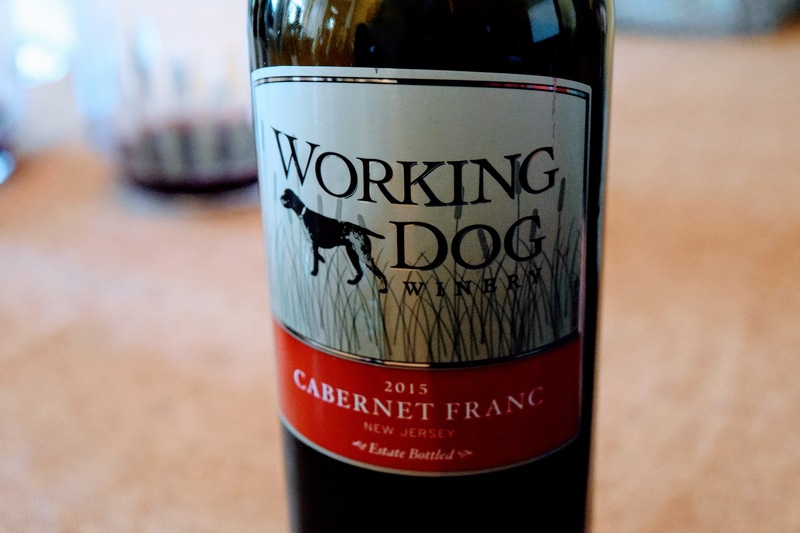 Unionville is one of my wife’s favorites, and Working Dog is a mutual favorite of ours. Thanks, Michael. Any other favorites that I should know about — for the story and beyond? You must try Natali Vineyards in Cape May County. They have the BEST wines around. 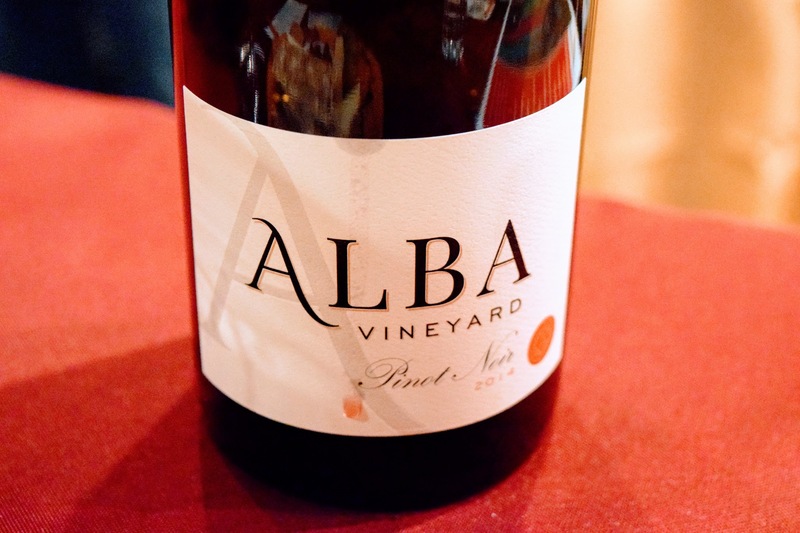 Their 2014 Nebbiolo won 4 medals in 2017, including Best in Category and a Gold Medal in the Atlantic Seaboard Wine Competition (Congressional Wine Caucus presentation of this award). You should check out Tomasello Winery (Freehold) and Plagido Winery (Hammonton). I love Unionville and Beneduce. I second others who recommended Hawk Haven, too! Hi. I am the owner of a small vineyard in Monmouth County and one of the largest (if not the largest) grower of Cabernet Franc in the State of New Jersey. 4JGs Orchards & Vineyards in Colts Neck won two Gold Medals and one Silver for our red wines (Cabernet Franc obtaining Gold) this January at the San Francisco Chronicle Wine Competition. Our wines are crafted by Craig D’Onofrio on the Court of Sommeliers. Please check us out! PS/My parents who are not 88/89 have been instrumental in the creation and of our wines and still active were born and raised in Pittsburgh!